Executives at ride-hailing app companies like Lyft and Uber have long dreamed of having fleets of vehicles that can shuttle humans around cities without the hassle of actually having to pay human drivers. 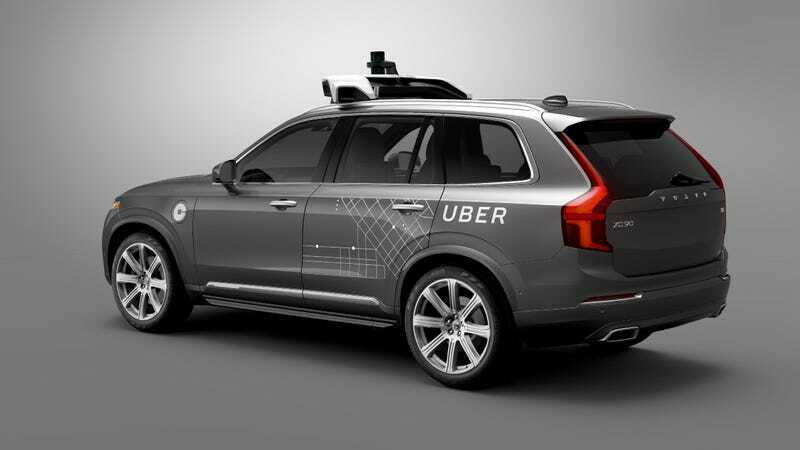 Starting at the end of this month in Pittsburgh, Uber will come closer to that goal than anyone has before with a fleet of autonomous Volvo XC90 SUVs, all summoned by phone to take passengers where they want to go. The two companies announced a $300 million partnership this morning to deploy the cars for use in a major city, the first of its kind for any traditional automaker or tech company. There is, however, one big catch: for now the autonomous Volvos will be supervised by human drivers. But the Uber XC90s are different from the current ones with Pilot Assist, which require human supervision and intervention. They have been modified to include an array of sensors, cameras, laser systems, radar and GPS so that they can fully drive themselves, albeit with engineers in the front seat with their fingers on the wheel ready to take over just in case. The alliance marks the beginning of what both companies view as a longer term industrial partnership. Bloomberg Businessweek says that in Pittsburgh, the cars will be summoned normally via Uber’s app, but users will get a semi-autonomous XC90 “at random.” Oh, and the trips will be free for now, which is kind of nice. Kalanick said he expects that trips will become so inexpensive eventually that driving will be cheaper in one of their cars than private ownership, even in rural areas, somehow. I’m extremely skeptical of that last part, but the usefulness of such vehicles in cities cannot be denied. Pittsburgh is home to Carnegie Mellon University’s robotics department, and as many of you pointed out, it’s also home to Uber’s Advanced Technologies Center. Coupled with actual city driving challenges, bad weather and elevation changes, it’s a pretty ideal city to test autonomous cars. The Uber/Volvo partnership is just one of the latest examples of established car companies teaming up with new tech players. General Motors is teaming up with Lyft for what will eventually be a similar endeavor, and Ford this week announced a fully autonomous car by 2021 for commercial purposes like ride-hailing. But Uber and Volvo’s Pittsburgh project may be the biggest and most visible example of this yet, and certainly not the last. Did General Motors Just Try To Buy Lyft?